Did you apply to study at a University only to find that you were not accepted? Many students find themselves in this position, but all is not lost. There are many, very able private educational institutions in South Africa that offer a wide range of exciting programmes across a variety of subject areas. You may very well be eligible to do a qualification with one of these providers, and many banks fund studies with private institutions, provided that they are operating legally. So, do your research and find out about these providers, and you may find yourself a spot in a great programme of study. Make sure that the institution is registered with the Department of Higher Education and Training (DHET). Also check that it is accredited to offer the qualification you want to do (either by Umalusi or the Higher Education Quality Committee). To find out about the quality of the programme, and whether it is what you want to do, you need to speak to people who have studied there already. How did they find the course? Did they enjoy it and, more importantly, how did they benefit? You can also ask whether students have proceeded to further studies and whether and how the qualification would help in your chosen career. Make sure too that you ask about equivalence: is the qualification offering similar (not the same) qualifications as those offered at other institutions? Remember that each institution will have its own understanding of what makes for a good qualification in its area! Finally, choose your ‘mode of delivery’. Is it contact learning? Do you prefer to attend classes? When and how often? Or is it distance learning? Are you able to study independently and meet deadlines easily? Which mode suits your pocket, lifestyle and abilities best? 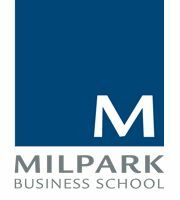 Milpark Business School qualifications focus on education in management and leadership, financial planning and insurance, and banking. Milpark is registered as an independent Private Higher Education Institution with the Department of Higher Education and Training (registration number 2007/HE07/003). Milpark’s flexible learning options mean that students can choose between contact and distance learning and also whether to study full-time or part-time. We operate from three sites in South Africa: two teaching campuses in Claremont, Cape Town and Melville, Johannesburg, and a sales and support office in Durban, Kwa-Zulu Natal. Visit the Milpark website for full information about available programmes in 2013 or click here to apply for admission.